The countryside around Tregunc, Nevez and Pont Aven encompasses an amazing wealth of places to visit. It has known how to retain its Breton character over the centuries and is waiting for you to discover its hamlets of picturesque thatched cottages and its little ports. 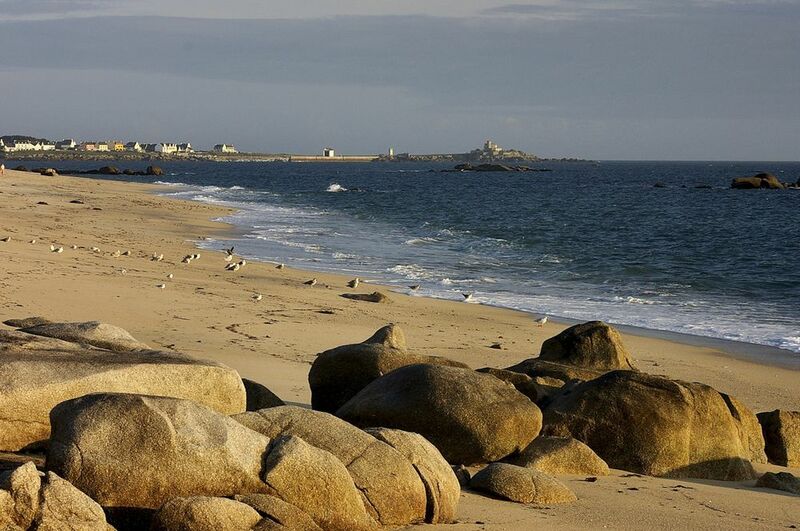 You can stroll the coastal paths which wind for dozens of kilometres between the shore and the dunes, nature reserves and cliffs, some tranquil inlets of the river Aven where are hidden chateaux from another time. Here you find many sports and all you need to help you to relax. At Tregunc you can follow a guided tour to discover the fauna and flore of the area, or follow the route of ancient stones and legends. There are tracks for mountain bikes allowing you to ride along the many signposted paths. You can join a class and learn Breton dancing, attend the free concerts on Wednesday evening, or the Breton festivals with fireworks and meals of fish. At the Pointe de Trevignon you will find a little fishing port with a daily fish market. At Port Manec’h, you can hire a boat, attend the sailing school or the equestrian centre. 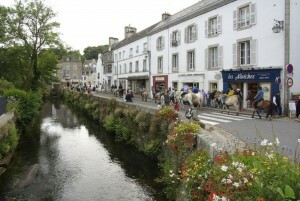 Pont –Aven is the village of painters where you can visit more than 50 art galeries as well as the Gauguin Museum. A botanic park with a mineral museum can be discovered at Combrit, the Domaine of Trevarez with its magnificent red brick chateau, situated in a large parkland and holds permanent plant exhibitions and festivals, only 45 minutes by car. Visit the historic centre of Quimper with its fashion boutiques and its cosy restaurants, the Henriot pottery, the Breton Museum and the magnificent cathedral recently restored, or wander around Concarneau with its walled city by the port with its many Breton souvenir shops, restaurants and impromptu outdoor concerts. In the summer two large International Celtic Festivals are held in Quimper and Lorient with a wealth of concerts performed by well known bands from all over the world as well as the Breton pipe bands and the traditional parades of the Breton people in their beautifully embroidered regional costumes. Brittany is very much alive! And to prove it dozens of arts organisations are actively contributing today to the dynamism of this very varied region.